Design-In-Tandem is a one-day architectural service package provided by Straus-Edwards Associates, Architects, developed to involve the homeowner in the design process, working in tandem with the architect. This home design and master planning service was conceived to maximize the clients' participation. 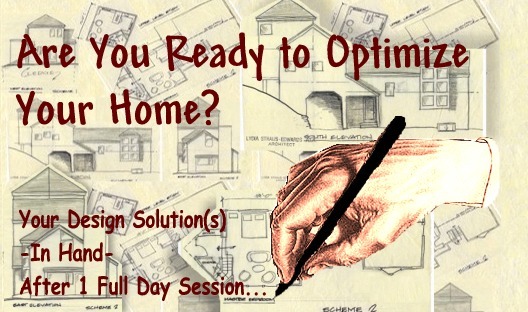 This collaboration will insure the homeowners' concepts, ideas, and lifestyles are conveyed in the customized plans, and other explanatory sketches, produced during our intensive one-day session(s).